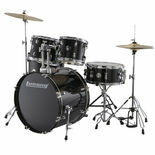 The Ludwig Accent drum set is Ludwig’s most affordable drum set for the beginning drummer. 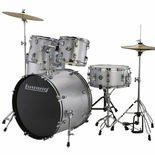 Full size components and Ludwig's history of quality ensure a solid foundation. These drum sets feature 9-ply 8mm select hardwood veneers with the choice of durable PVC finishes. 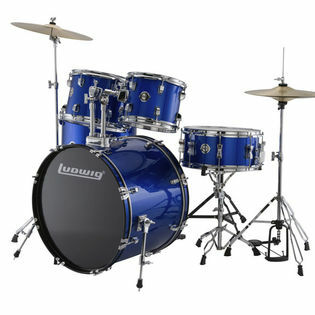 The Ludwig Accent CS Combo includes lightweight, sturdy double braced hardware, Cymbals and a single braced throne.